I loved my four days in NYC. Both great quality time and fun do nothing time with my son and plenty of plodding around the city on my own. Each of my five of my senses, often simultaneously stimulated, could give you a recount of how we spent the days. Here is a visual recap with some support from the others. I had a fun morning in Brooklyn visiting with my niece who pushed about eight pounds of fruits and vegetables through a juicer to produce two large gorgeous glasses of fresh juice. Sweet from the apple, with a bite from the kale, plus a hint of lemon, a reprieve from my days of indulgence. This deserved a photo but I was to wrapped up in the moment. So nice to have a few quiet moments face to face to catch up a little. Before wandering from her apartment we watched a NYPD traffic van illegally back up and rear end another car. Ouch. Also wrapped up in that moment, the cars were clearing as I thought to get my camera. Auditory… check. From her apartment I wandered down Myrtle Ave, past Fort Greene Park in the direction of Pratt. 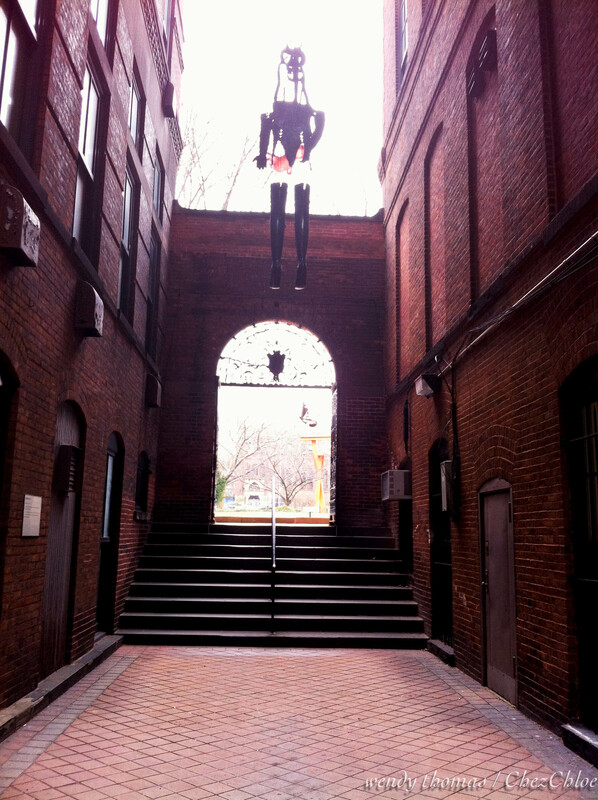 As I mentioned, my grandparents met at Pratt Institute in 1924, fell in love and produced my father. Tragically, my grandfather, out for a spin on a buddy’s new motorcycle, died in an accident on that spur of the moment trip around the block. He left behind a small toddler and a woman who I believe lost her true love. But all events lead us to today and here I am, grateful. Willie Thomas, my father, jazz musician and a legend in his own mind, also spent many years in this same neighborhood as a doorman by day and a fierce horn blower by night. I snapped shots of interest as I walked. A great local natural foods store… open 24/7… yes that’s TWENTY FOUR HOURS. SEVEN DAYS A WEEK! Stopped in for a vegan (I’m versatile) maki roll and dark chocolate salted almond bar. And one small tub of cream cheese I carried around all day for my son cause I didn’t know when I’d see it again! 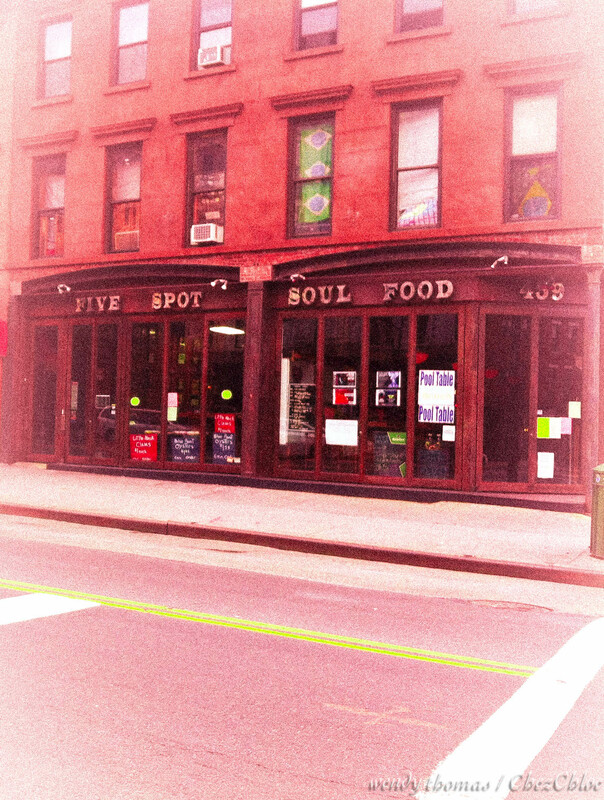 A restaurant front that provided a great photo but not so good food…. thus no link. 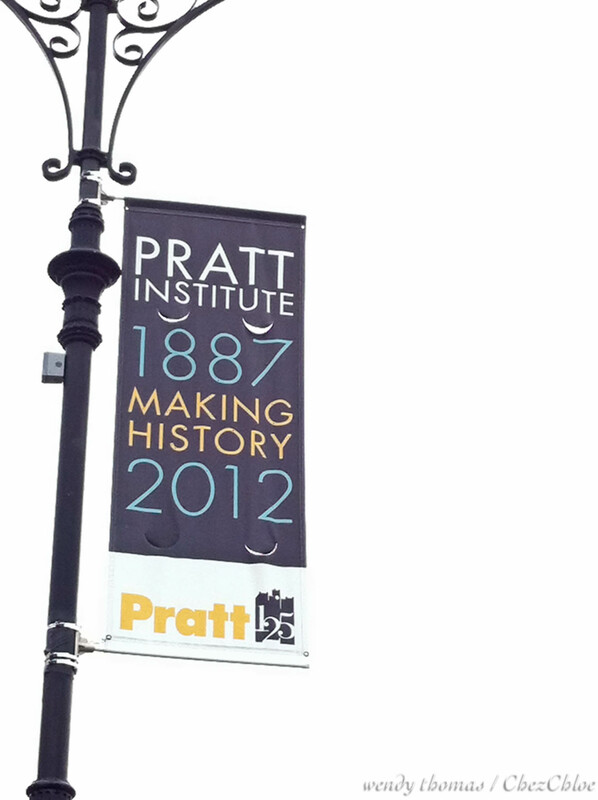 And the campus of Pratt…we are keeping an eye on this place for Chloe in a few years. 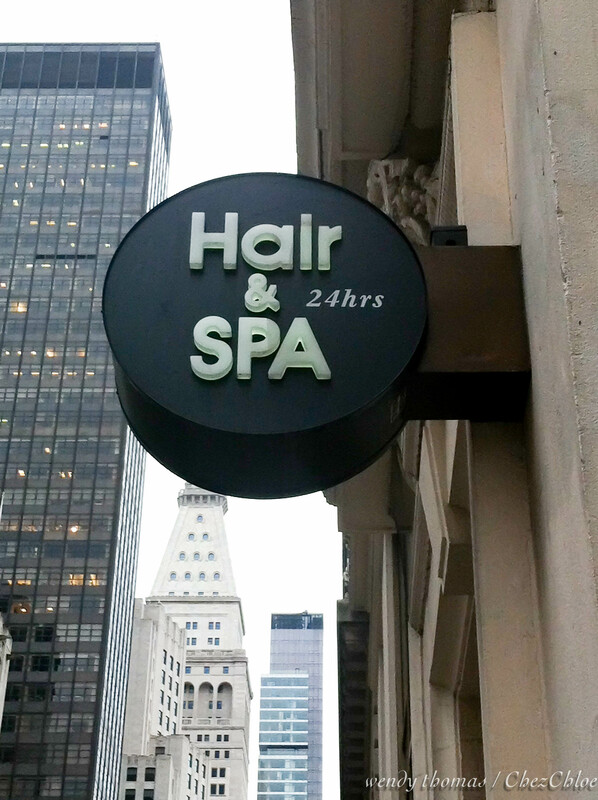 I like to know if I have a beauty care emergency I can go here night or day… Can’t sleep? “Must get a massage”. Late night drinking and dancing? “How about a pedicure”? This place offers 24/7 365 days a year. InSAnE! 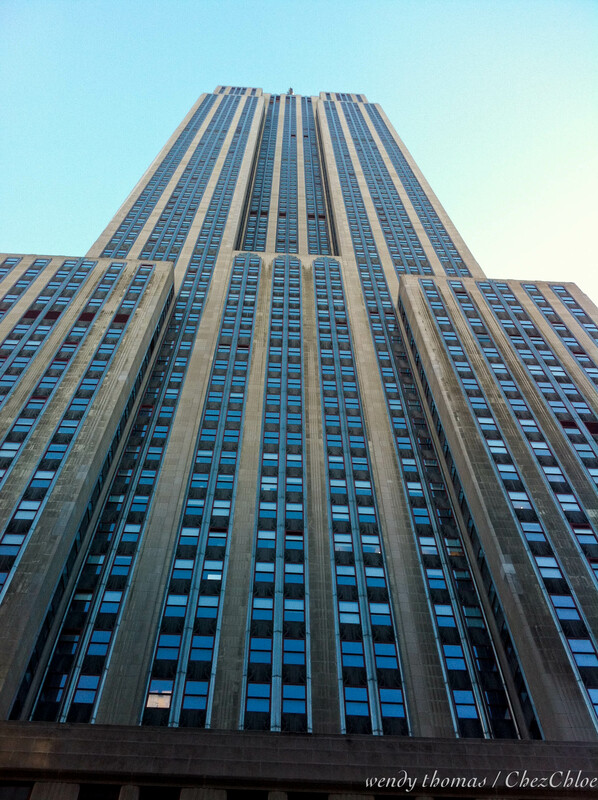 And back to basics… my view of the Empire State Building. 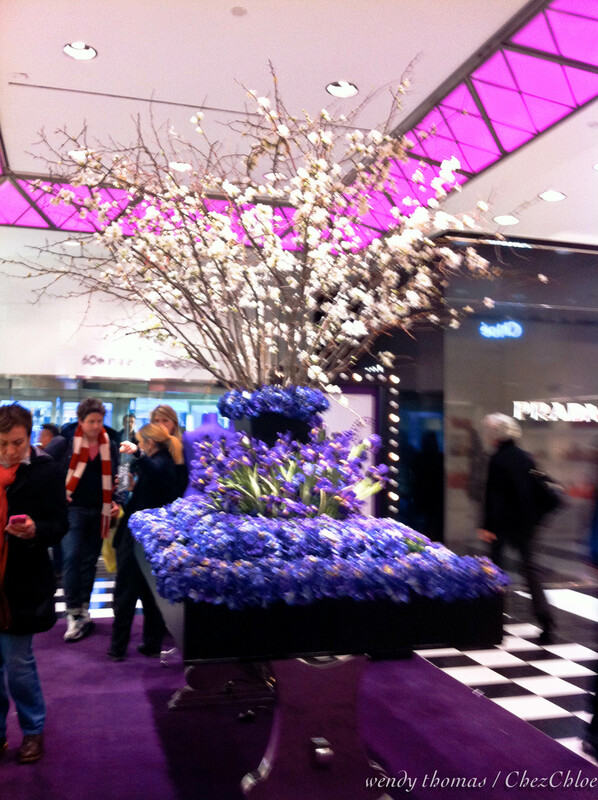 And a beautiful foyer at Bloomingdales… but a little disappointed when I felt up virtually all the petals to find they were silk. I suppose live flowers would be terribly impractical, but so much of NYC is. 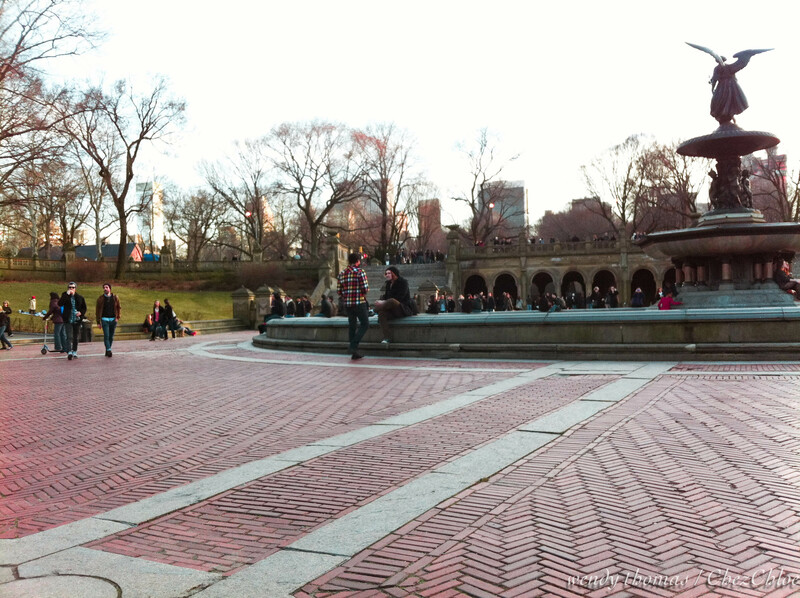 Central Park ….Boat house cafe across the pond. 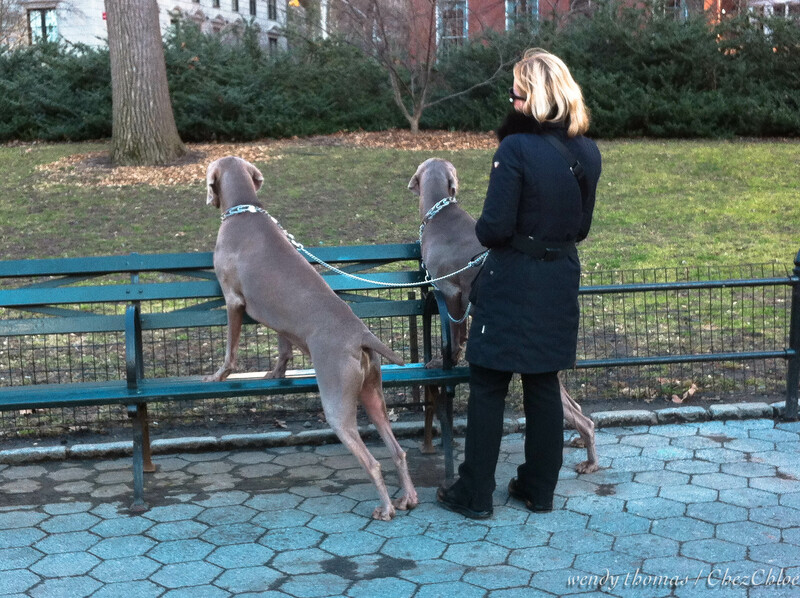 And these guys stood here watching a squirrel for an eternity. 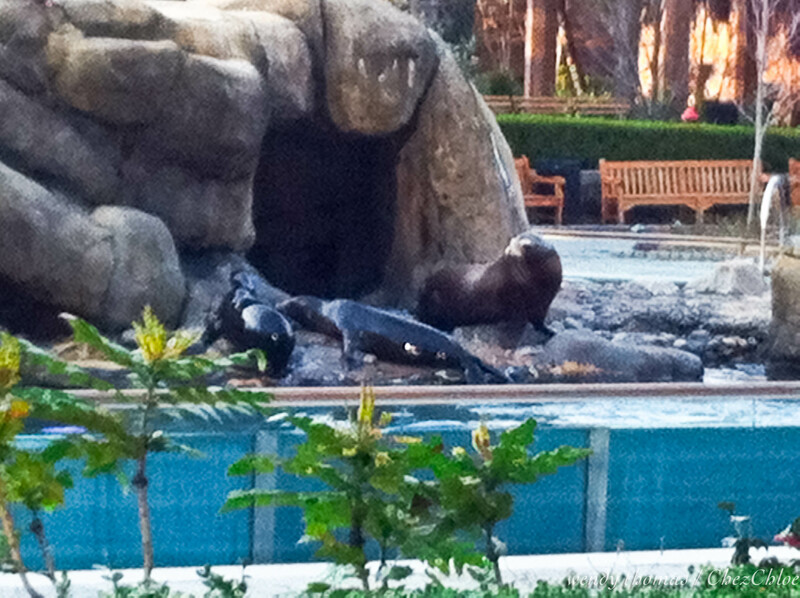 I loved how their owner just let them indulge in their moment! Great pics, great vacation. I haven’t been to NYC in years. I went many times in my 20s and really haven’t had the desire to go back. But I love going there through the eyes of other people…and through movies. I really like the charcoal grey shoes for casual walking…they appear to be the more chic choice. 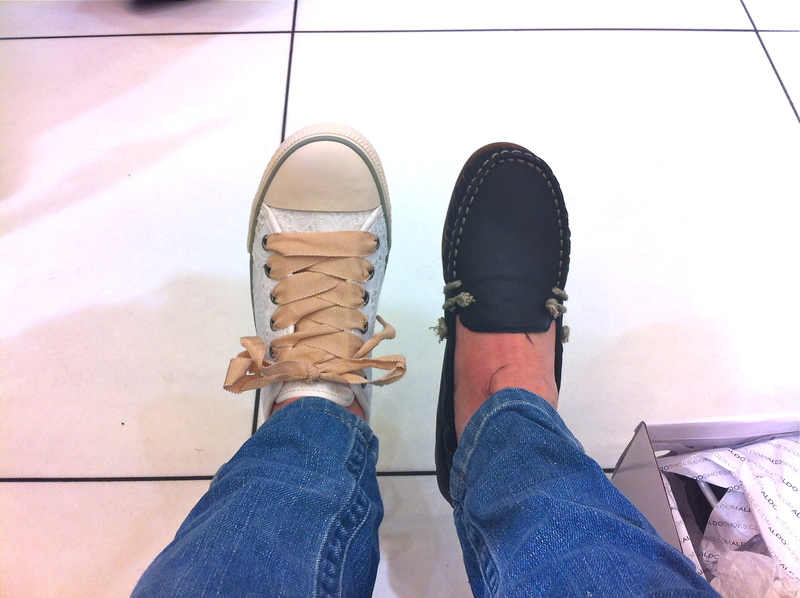 I like Converse sneakers too but you didn’t say what you were buying the shoes for….??? Can you get both? And shame, SHAME! on BLOOMingdales for having fake blooms. Good grief. I wonder which pair of shoes you got – I voted for the converse type! It was a super trip but it would have been very nice to have a few minutes with the fam. Nice …. 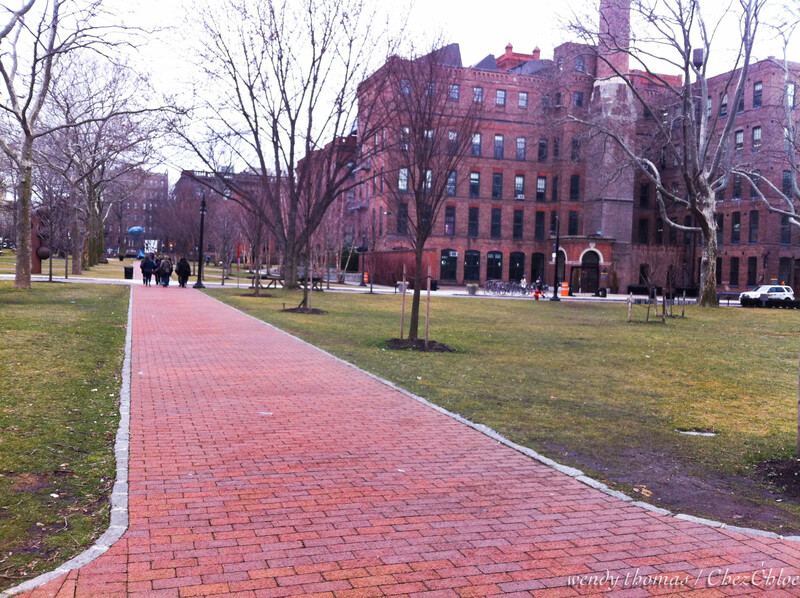 I’ve traversed that walk on the Pratt Campus many many times. It was a special time and place for the evolvement of our family. Synchronicity at its finest! The vastness of the NYC metroplex is mind boggling and a challenge for all forms of life. Looks like you woofed down a pretty good portion of things in your 4 days. I know how glad Willie was to have you there. The loafers are quite nice! The days were long but lovely. Loafers are in the lead! Empire State Building – what an amazing photo … it’s like it’s moving when I strolled over it. You where a busy girl .. over there – but that’s what NYC is all about. Something about NYC that we don’t find somewhere else. 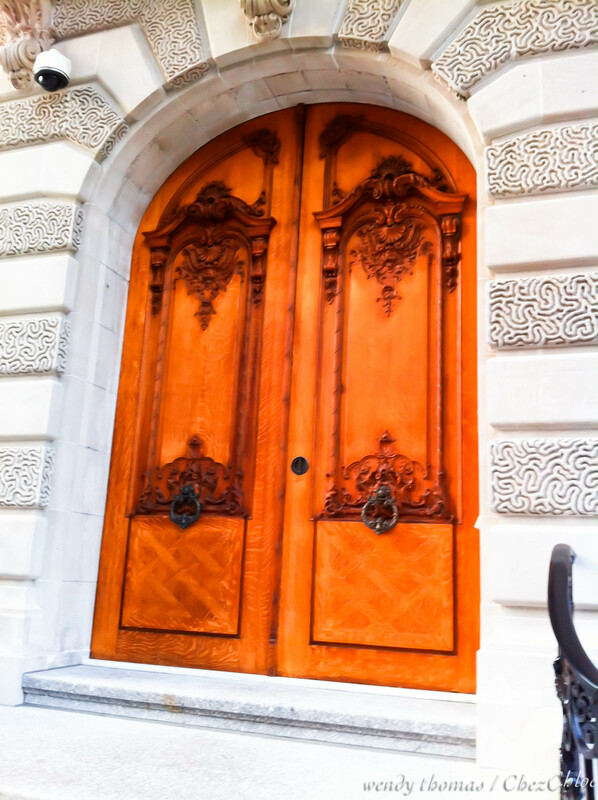 NYC for me, equally gives and takes energy…. don’t know about it full time but I love visiting. Love your photos…I can see you had a great time. Thanks…It was a lot of fun. NYC rocks!